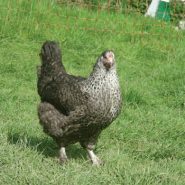 Always a very popular chicken that lays 320 brown eggs a year. 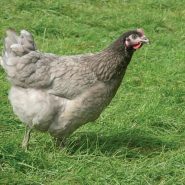 A friendly bird making it a good family hen, loves attention and is very inquisitive. Suits both back garden, small holding and commercial settings. 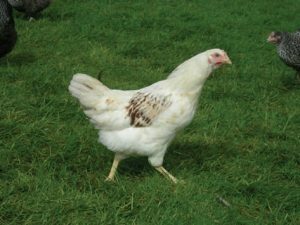 She will lay up to a fantastic 320 brown eggs in first year. Adapts really well in extensive and alternative systems. Their coloring can range from almost pure white to heavily marked with brown flecks. These Rhode Island White based hybrids are renowned for their docility. Slightly larger than the Lohman brown. The Amber link is well suited to extensive and alternative systems especially those using non commercial feeds including organic or home produced rations. Average egg weight is normally slightly lower than brown varieties but colour is darker and shell quality excellent.